Sympathetically extended, The Coach House offers 1,200 sq ft (NIA) of open plan, single storey accommodation, available as a whole unit or as units of 720 sq ft and 480 sq ft that can be configured to accommodate between 5 and 16 people. Floor to ceiling windows flood the offices with natural light and afford beautiful views across the lawns to The Potting Shed. 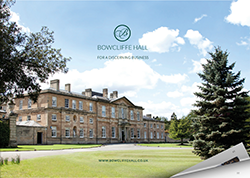 One minute’s walk from Bowcliffe Hall and your own private members’ club, the Bowcliffe Drivers’ Club is the ideal venue for informal meetings or taking a break from the office. Fill in the form below to enquire about The Coach House. We’ll get right back to you. If you’d prefer a chat, call us on 01937 541111.